The UN's Human Rights Council (HRC) has set up a commission of inquiry into Eritrea, seen as one of the world's most repressive states. The three-member panel will report back in one year. In a statement, the HRC condemned "widespread and systematic" human rights violations, including torture and other cruel punishments. Eritrea rejected the resolution. Human rights groups have previously called the country a "giant prison". A country-specific inquiry into alleged violations is something Eritrea, and indeed many countries, desperately want to avoid. Although the UN Human Rights Council cannot order sanctions or referral to the International Criminal Court (only the UN Security Council has such powers), its inquiries receive enormous public attention. Recent investigations into Syria and North Korea have made headlines around the world, and human rights groups do believe the council's thorough research, its evidence-based findings, and the subsequent public "naming and shaming" can spur abusive regimes towards change. Earlier this month, four Eritrean Catholic bishops took the rare step of publicly criticising life in the country as "desolate". The use of conscription was also condemned by the HRC, along with restrictions on the freedom of expression, religion and peaceful assembly. All private media have been closed down and only members of four religions - the Orthodox, Catholic and Lutheran Churches and Islam - are allowed to practise freely. The Human Rights Council this morning adopted eight texts in which it created a Special Rapporteur on the rights of persons with disabilities and established a commission of inquiry on Eritrea. The Council extended the mandate of the Working Group on human rights and transnational corporations and other business enterprises, and the mandates of the Special Rapporteurs on the situation of human rights in Eritrea and in Belarus. The Council also adopted a resolution on Syria in which it strongly condemned the use by Syrian authorities of starvation of civilians as a method of combat and the besiegement of civilians, and other texts on the right of migrants to health, the promotion and protection of human rights in post-disaster and post-conflict situations, and the human rights of peasants and other persons working in the rural areas. The Council appointed, for a period of three years, a Special Rapporteur on the rights of persons with disabilities, to gather and exchange information on violations of the rights of persons with disabilities and to make concrete recommendations on how to better promote and protect those rights. Concerning the promotion of the right of migrants to the enjoyment of the highest attainable standard of physical and mental health, the Council expressed concern at legislation and measures adopted by some States that may restrict the human rights and fundamental freedoms of migrants. In a resolution on the continuing deterioration in the human rights and humanitarian situation in Syria, adopted by a vote of 32 in favour, 5 against and 9 abstentions, the Council strongly condemned all incidences of enforced disappearances by the Syrian regime, the use by Syrian authorities of starvation of civilians as a method of combat, the besiegement of civilians, and the use of chemical weapons and all indiscriminate methods of warfare in the country. Further, the Human Rights Council decided to establish, for a period of one year, a commission of inquiry, to investigate all alleged violations of human rights in Eritrea, and for a period of one year, the mandate of the Special Rapporteur on the situation of human rights in Eritrea. By a vote of 24 in favour, seven against and 16 abstentions, the Council decided to extend, for a period of one year, the mandate of the Special Rapporteur on the situation of human rights in Belarus. The Council extended until its twenty-eighth session the time for the Advisory Committee to prepare a research-based report on best practices and main challenges in the promotion and protection of human rights in post-disaster and post-conflict situations. Concerning the promotion and protection of the human rights of peasants and other people working in rural areas, the Council decided by a vote of 29 in favour, 5 against and 13 abstentions that the working group with the mandate of negotiationg, finalizing and submiting to the Human Rights Council a draft United Nations declaration on the human rights of peasants and other people working in rural areas should hold its second session for five working days before the twenty-ninth session of the Council. Introducing resolutions and decisions were New Zealand, Mexico, Norway, United Kingdom, Saudi Arabia, Somalia, Greece on behalf of the European Union, Uruguay, and Bolivia. Syria, Eritrea, and Belarus spoke as concerned countries. Italy on behalf of the European Union, United States, Argentina, Russia, Brazil, Sierra Leone, South Africa, and Cuba made general comments. South Africa, Algeria, Russia, Cuba, China, Venezuela, Brazil, Viet Nam, Ethiopia, and the United States spoke in explanation of the vote before or after the vote. The Human Rights Council will resume its work at 2.30 p.m. this afternoon to continue to take action on decisions and resolutions before it concludes its regular twenty-sixth session. In a resolution (A/HRC/26/L.9) on the Special Rapporteur on the rights of persons with disabilities, adopted without a vote as orally revised, the Council decides to appoint, for a period of three years, a Special Rapporteur on the rights of persons with disabilities, with the mandate to develop a regular dialogue and to consult with States and other relevant stakeholders; to gather, request, receive and exchange information and communications from and with States and other relevant sources on violations of rights of persons with disabilities; to make concrete recommendations on how to better promote and protect the rights of persons with disabilities; to raise awareness of the rights of persons with disabilities, and to combat stereotypes, prejudices and harmful practices; calls upon all States to cooperate with the Special Rapporteur in the performance of his or her mandate; and requests the Secretary-General to bring the reports of the Special Rapporteur to the attention of the Committee on the Rights of Persons with Disabilities, the Conference of States parties and the Commission for Social Development for their information and to avoid unnecessary duplication. New Zealand, introducing draft resolution L.9 as orally revised on behalf of Mexico and New Zealand, said that the resolution enjoyed the support of 80 co-sponsors, demonstrating broad cross-regional support. This resolution answered the call of the disability community. The outcome today was the result of discussions held over several months. A Special Rapporteur would not only help highlight the challenges that remained but would be able to practically and constructively help States to tackle these challenges. The creation of this mandate sent an important message that the Council recognised that there was more that could be done to promote the rights of persons with disabilities. Mexico, speaking in a general comment, said that this resolution had also highlighted the issue of how the United Nations system dealt with the issue of accessibility and reasonable accommodation for persons with disabilities. Despite the ongoing work on the issue, supported by many States, practical challenges remained, particularly the lack of a clear, cross-cutting approach to how accessibility and reasonable accommodation requirements were addressed or budgeted. The Council should provide reasonable accommodation required by any mandate or Special Procedure, cutting across all work of the Council. The language included in the programme budget implications (PBI) document that this would apply in the case of “any other mandate” was central to ensuring that this mandate was not singled out. The Office of the High Commissioner should play a leading role in this area. Italy, speaking on behalf of the European Union in a general comment, said today’s resolution crystallized a process that started a few months ago in New York, with the support of the European Union. A permanent mandate holder had been lacking on this issue. The resolution developed a fully-fledged mandate. It was highlighted that the mandate included the task of holding country visits as well as dialogue with States. The European Union fully supported the resolution and hoped it would be adopted by consensus. In a resolution (A/HRC/26/L.30) on the promotion of the right of migrants to the enjoyment of the highest attainable standard of physical and mental health, adopted without a vote as orally revised, the Council calls upon States that have not yet done so to consider signing and ratifying or acceding to the International Convention on the Protection of the Rights of All Migrant Workers and Members of Their Families as a matter of priority; reaffirms the duty of States to effectively promote and protect the human rights and fundamental freedoms of all migrants, especially those of women and children; expresses concern at legislation and measures adopted by some States that may restrict the human rights and fundamental freedoms of migrants; reaffirms that, when exercising their sovereign right to enact and implement migration and border security measures, States have the duty to comply with their obligations under international law, including international human rights law; encourages countries of origin, transit and destination to seek technical assistance from and to collaborate with the Office of the United Nations High Commissioner for Human Rights and the World Health Organization to better promote and protect the human rights of migrants; and requests the Special Rapporteur on the human rights of migrants to continue to report on practical solutions on this matter. Mexico, introducing draft resolution L.30 as orally revised, said that migrants, as a vulnerable group, required special protection of their rights. One way of achieving this was by rationalising the framework of the rights of migrants. The systematic incorporation of these provisions into resolutions would facilitate the consolidation and development of measures taken by the international community in order to protect migrants and their rights. Mexico aspired to provide better protection to vulnerable groups, as well as making the work of the Council more coherent. This draft resolution sought to promote the rights of migrants to enjoy the highest standard of health with no discrimination, and constituted a step forward in the recognition of their rights. The draft included language from previous resolutions, the World Health Assembly, and other relevant instruments. The draft restated the right of all to the highest standard of health; as well as the responsibility of States to protect the rights of all migrants regardless of their migratory status, recognising the positive role migrants played in countries of origin, transit and destination. Numerous bilateral and public consultations had been held as part of a transparent and inclusive process, and Mexico thanked all delegations for their participation. United States, in a general comment, said it was firmly committed to promoting and protecting the rights of all migrants, regardless of their migration status. The United States did not recognise the creation of new rights or changes in current treaties or international customary law. In a resolution (A/HRC/26/L.1) on human rights and transnational corporations and other business enterprises, adopted without a vote as orally revised, the Council calls on all business enterprises to meet their responsibility to respect human rights consistent with the United Nations Guiding Principles; requests the Office of the High Commissioner for Human Rights to continue its work on domestic law remedies to address corporate involvement in gross human rights abuses and to organize consultations with experts, States and relevant stakeholders; requests the Working Group to launch an inclusive and transparent consultative process with States in 2015; requests the Working Group to include as an item of the agenda of the Forum on Business and Human Rights the issue of access to remedy for victims of business-related human rights abuses and decides to extend the mandate of the Working Group for the period of three years; and emphasizes the importance of stakeholder dialogue and analysis to build on results achieved to date and decides to continue consideration of this question in conformity with the annual programme of work of the Human Rights Council. Norway, introducing draft resolution L.1 on human rights and transnational corporations and other business enterprises, recalled that the Council had endorsed the United Nations “Guiding Principles for Business and Human Rights” and created through this an authoritative framework to prevent and address adverse human rights risks and the impact of business activities on the basis of three pillars of the United Nations protect, respect and remedy framework. There was broad agreement in the Council concerning the need to step up efforts in the field, the idea of a new legally binding instrument in the field of business and human rights could not be excluded, but it was important to continue to base the work in this field on consensus, comprehensive consultations and the step-by-step, evidence based, approach that had characterized the work in the field. The draft resolution, in addition to extending the mandate of the Working Group, proposed several initiatives over the next two to three years to identify and clarify relevant legal issues, including legal analysis and discussion among States. The resolution also strengthened the Annual Forum on Business and Human Rights and took initiatives to develop the role of the United Nations in capacity building. This draft resolution built on the consensus developed in previous years to move forward through initiatives that counted with the support of all key players. Argentina, in a general comment, was of the view that the draft contained substantive improvements to the 17/4 resolution but also greater emphasis on pillar three of the Guiding Principles. In paragraph 7, reference was made to the need to explore all relevant possibilities regarding remedies to victims. Argentina emphasized that the rule of law and regulations were central in this subject area and therefore the Guiding Principles were a combination of regulations and incentives. In future, they should move forward regarding barriers on accountability. United States, in a general comment, strongly supported efforts to implement the Guiding Principles on Business and Human Rights around the world. Although the Guiding Principles were young, they were already having a significant impact. The Working Group had made a noteworthy contribution in that regard. The United States would continue to put efforts into the implementation of the Guiding Principles and their multi-stakeholder approach. Russia, speaking in a general comment, said that since the adoption of the Guiding Principles, States had made significant efforts to implement them. A great deal still needed to be done towards the implementation of the Guiding Principles, and States and the international community could take action to this end. There was no single solution to this problem but it was only through cooperation among stakeholders and a step-by-step approach that real results could be achieved. It was necessary to pursue work in this regard and Russia called on all States to support these efforts and to join in the consensus. Italy, speaking on behalf of the European Union in a general comment, reiterated the European Union’s commitment to the Guiding Principles and recalled efforts toward their implementation. Substantial progress, including at the legislative level and in the form of national plans, had been achieved. The European Union believed that a consensus resolution would give a new impetus to the protection of human rights by business and welcomed the consultations conducted on this draft resolution. The European Union lamented that Ecuador and South Africa had taken action on a second resolution the day before. The European Union had expressed its reasons for opposing the establishment of an inter-governmental working group and believed that this resolution supported the work of the Working Group and the Annual Forum; though it would have desired clearer language concerning the role of civil society, the European Union would join in consensus on this resolution and remained committed to continue the work of human rights defenders and civil society. South Africa, in an explanation of the vote before the vote, said that it accorded a special priority to the issue. The Government held a very strong view that these entities, the primary drivers of the phenomenon of globalization and the owners of global wealth, could not operate in a void. They often operated in environments where appropriate laws regulating their activities were either totally absent or very weak. A legally binding instrument was desirable. South Africa supported the Guiding Principles and the call for their full end effective implementation. In a resolution (A/HRC/26/L.4/Rev.1) on the continuing grave deterioration in the human rights and humanitarian situation in the Syrian Arab Republic, adopted by a vote of 32 in favour, five against and nine abstentions as orally revised, the Council demands that the Syrian authorities cooperate fully with the commission of inquiry; urges all parties to the conflict to prevent violations of international humanitarian law and human rights violations and abuses; condemns all violence, irrespective of where it comes from, and calls upon all parties to immediately put an end to all forms of violence; strongly condemns all incidences of enforced disappearance by the Syrian regime, and calls upon the Syrian regime to investigate all such cases; condemns the use by the Syrian authorities of starvation of civilians as a method of combat, the besiegement of civilians, all violations and abuses committed against journalists, as well as all violations and abuses committed against the civilian population, in particular women and children; strongly condemns the use of chemical weapons and all indiscriminate methods of warfare; demands that all parties demilitarize medical facilities, schools and other civilian facilities; condemns the intentional denial of humanitarian assistance to civilians and demands that the Syrian authorities promptly allow, and all other parties to the conflict do not obstruct, humanitarian access for United Nations humanitarian agencies and their implementing partners; urges the international community, including all donors, to provide urgent financial support to enable the host countries to respond to the growing humanitarian needs of Syrian refugees; and calls uponall members of the international community to respond expeditiously to the Syrian humanitarian appeal and fulfil previous pledges. In favour (32): Argentina, Austria, Benin, Botswana, Brazil, Burkina Faso, Chile, Costa Rica, Côte d’Ivoire, Czech Republic, Estonia, France, Gabon, Germany, Indonesia, Ireland, Italy, Japan, Kuwait, Maldives, Mexico, Montenegro, Morocco, Peru, Republic of Korea, Romania, Saudi Arabia, Sierra Leone, The former Yugoslav Republic of Macedonia, United Arab Emirates, United Kingdom, and United States of America. Against (5): Algeria, China, Cuba, Russian Federation, and Venezuela. Abstentions (9): Congo, Ethiopia, India, Kazakhstan, Namibia, Pakistan, Philippines, South Africa, and Viet Nam. United Kingdom, introducing draft resolution L.4/Rev.1 as orally revised, said that it was with deep sadness that sponsors presented another resolution on Syria at the Council. The crisis in Syria continued to have a devastating impact on civilians. Men, women and children were being denied their fundamental freedoms and the ability to exercise their human rights day after day and the Council could not remain silent. The United Kingdom remained very concerned about indiscriminate attacks and the deliberate targeting of protecting civilians, in contravention of international law, and said that the indiscriminate aerial bombardments of civilian areas must stop. The recent presidential elections of 3 June had neither been free nor fair. The United Kingdom remained extremely concerned about the humanitarian situation and the intentional denial of assistance to civilians, and called on all parties to facilitate the prompt delivery of humanitarian aid. The draft resolution was a balanced text, reflecting the call on all parties to end violence, respect human rights and to comply with international law. The resolution deserved the broadest support within the Council, and the United Kingdom hoped that it would be adopted by consensus. Saudi Arabia, also introducing the draft resolution, said that unfortunately they were still in the tunnel. The Syrian people were still suffering as a result of this crisis, three years on. The international community had been incapable of doing anything about the current regime in Syria which was violating human rights. It was vital that the Human Rights Council took vital action against the Syrian regime and its allies. It was important for the Council and the international community to demonstrate and prove their unified position given the flagrant violations of human rights perpetrated by the Syrian regime. Saudi Arabia appealed to all Member States to adopt the draft resolution by consensus. Italy, speaking on behalf of the European Union in a general comment, said that the situation in Syria was increasingly deteriorating. It was civilians that continued to heavily suffer on a daily basis. There was grave concern about the continued bloodshed and the European Union called for an end to hostilities to allow humanitarian access. The Syrian authorities bore the responsibility to protect the civilian population and they continued to fail to do so. All responsible for such acts had to be held accountable and there could be no impunity. The Security Council was called upon to refer the situation to the International Criminal Court. Brazil, speaking in a general comment, regretted that the negotiation process was not conducted with the transparency and inclusiveness that would have been desirable. There was no military solution to the Syrian crisis and the continuing hostilities disproportionately affected the most vulnerable groups. The reduction and cessation of hostilities in Syria should be a matter of priority for the international community. Alleged human rights violations had been identified as triggering the current crisis in Syria, and the strengthening of the commitments for compliance with human rights should play a role in the efforts to ensure the end of the conflict. It was crucial that the Syrian Government resumed dialogue with all parties and its future actions should be aligned with the full implementation of the provisions of the Geneva II Communiqué. Argentina, speaking in a general comment, regretted the continued loss of life and rejected the acts of violence against civilians by all parties. Argentina called on the Government to fulfil its duty to protect the human rights of its population. Recalling reports of violations of human rights and international human rights law, Argentina stressed that humanitarian aid was essential to address the plight of the Syrian people and called on parties to ensure humanitarian access. Dialogue and a peaceful democratic solution were the only way out of the current crisis and Argentina urged international actors to create an enabling environment so that the parties could find a peaceful solution; in this regard, Argentina condemned the continued transfers of weapons which were contributing to the suffering of the Syrian people. Syria, speaking as the concerned country, said that the Council was meeting to examine a draft resolution that was neither objective nor professional. It was based on a hypocritical and wrong approach. The mistake here was in putting a legitimate government on the same footing as a terrorist group that was causing death and destruction in the country. The draft resolution set out allegations with no basis against Syria but omitted to mention armed terrorist groups that were committing monstrous crimes and simply recalled that these groups should follow the principles of international law. Those pointing their arms against Syria were being treated in a civilized way. The draft text also stated that hospitals were being used for military ends. It was true that armed groups were transforming these sites for their actions. Those ignorant of this truth only needed to check the fact with United Nations staff that had seen terrorist and armed groups at a hospital in Aleppo. The text ignored the situation of the Syrian people who previously enjoyed stability in their lives. The sponsors all claimed to be defending democracy but they were denying the Syrian people their right to vote. What was particularly striking was that the elections in Syria had not been approved by all parties but Syrians had had a chance to express their opinion. The resolution, in a premeditated fashion, ignored the situation and destiny of the Syrian people. It was only here to serve the purposes of terrorism and sought to prolong the crisis. There could be no resolution without prior consultations that took account of the country concerned and its sovereignty. It had to be ensured that the Council did not follow the same path of previous bodies. Algeria, speaking in an explanation of the vote before the vote, said that there had been a lack of openness and transparency in the context of the consultations and sponsors had continued to act behind closed doors. The draft resolution also suffered from an imbalance and the paragraph discussing elections set a troubling precedent. For these reasons, Algeria did not support the resolution. Russia, speaking in an explanation of the vote before the vote, said that the draft resolution did not address the real situation in the country: terrorism was only mentioned once and most of the violence was blamed on the country. Several terrorist groups, such as the Islamic State in Iraq and the Levant (ISIS), were not even mentioned, even though they were included in the terrorist list of the Security Council and other States and they were also responsible for the critical situation in Iraq. References to the so-called Cesar report were unconvincing and the criticism of the June elections, held in keeping with the constitution, was unacceptable. The sponsors had failed to take into account these concerns; their initiatives were biased and served the interest of a small group of countries formerly called “friends of Syria” that sought the overthrow of the Government. The interests of the Syrian people should be placed above political considerations. Russia called for a vote on the resolution and would vote against it. Cuba, in an explanation of the vote before the vote, restated its condemnation of the death of innocent civilians in any circumstances. It rejected the selected and manipulated attribution for responsibility laid on only one party to the conflict. The role of the international community was to provide assistance to protect peace and stability, not action that caused death and insecurity. Cuba restated its support for the quest for a peaceful and negotiated solution to the crisis and repeated confidence in the ability of the Syrians to resolve their problems internally, without interference. For these reasons, Cuba would vote against the draft resolution. China, in an explanation of the vote before the vote, said that it was very much concerned about the worsening humanitarian and human rights situation in Syria. It was strongly against and condemned the violations of human rights and international law by any parties involved in the country. China had always advocated for a political resolution to the situation. It was urgent that all parties came to a ceasefire as early as possible and launched an inclusive political solution. The international community should provide constructive support. The Council should have an impartial and balanced attitude when discussing the issue. Regrettably the resolution and its content were not consistent with this. China would therefore vote against the draft text. Venezuela, speaking in an explanation of the vote before the vote, rejected the politicization and double standards contained in this initiative as it did not provide benefits for victims of human rights violations. Venezuela rejected the systematic policy of interference and destabilization in Syria and the efforts to condemn the Government using human rights, but ignore the human rights violations committed by terrorist groups. Venezuela would vote against this draft resolution. In a resolution (A/HRC/26/L.6) on the situation of human rights in Eritrea, adopted without a vote as orally revised, the Council strongly condemns the continued widespread and systematic violations of human rights and fundamental freedoms committed by the Eritrean authorities, including arbitrary and extrajudicial executions and enforced disappearances, and the widespread use of torture and other cruel or inhuman treatment; strongly condemns severe restrictions on freedom of opinion, expression, religion and peaceful assembly, forced conscriptions of citizens for indefinite periods of national services, and reported forced military conscription of children; decides to extend the mandate of the Special Rapporteur on the situation of human rights in Eritrea for a period of one year; decides to establish, for a period of one year, a commission of inquiry comprising three members to investigate all alleged violations of human rights in Eritrea; calls upon the Government of Eritrea to cooperate fully with the Special Rapporteur and the commission of inquiry, and to permit them unrestricted access to the country; and urges the international community to strengthen efforts to ensure the protection of those fleeing from Eritrea, in particular the increasing number of unaccompanied children. Somalia, introducing draft resolution L.6/Rev.1 as orally revised, said that despite their long struggle for self-determination, the Eritrean authorities remained unresponsive to the promotion and protection of the human rights of their people and the crisis had been forgotten for too long. The scale of the violations was unparalleled and there had been repeated calls to the Council to provide assistance to Eritrea to overcome its challenges. Eritrea had been on the Council’s agenda since 2011 and the Special Rapporteur on the situation in Eritrea had presented a second report, focused on human rights violations committed in the context of the indefinite national service, arbitrary arrests and detention, including incommunicado detention and inhumane prison conditions. The Special Rapporteur had also highlighted the considerable increase in Eritrean asylum seekers and refugees fleeing to neighbouring countries. The continued lack of cooperation by Eritrea remained worrisome. Despite numerous requests for visits by thematic mandate holders and the attempts by the High Commissioner to dispatch another mission with access to places of detention, the Government continued unabated. Violations ranged from severe restrictions on freedom of opinion and expression, to the continued detention of journalists, human rights defenders, political actors, and religious leaders. The draft resolution proposed the establishment of a Commission of Inquiry to investigate all alleged violations of human rights highlighted in the report of the Special Rapporteur. The Commission, comprised of the Special Rapporteur and two experts from Africa and Europe, would be mandated to investigate all human rights violations committed in Eritrea since independence. Somalia hoped that the Commission would establish the facts and circumstances where these violations may amount to crimes against humanity with a view to ensuring accountability. Eritrea, speaking as the concerned country, said that despite challenges and hostilities, its achievements in a short span of time since independence were reflected in the prevailing harmony, progress, peace and stability of the society. Eritrea was rebuilding its development efforts. Eritrea had participated in the Universal Periodic Review process and recommendations that had been accepted would be integrated, to drive development and human rights. It was sad that the draft resolution had been tabled. Eritrea totally rejected the resolution and found it unacceptable as it violated the basic principles of the Human Rights Council, and intended to divert the attention of the Council and the international community from the struggle that Eritrea was facing. The resolution was also country specific, did not enjoy the support of the concerned State, and undermined the Universal Periodic Review process. The Council was asked to reject the draft resolution. While also noting that Eritrea had become a target of United States hostilities, it had become apparent that this draft text was also part of Ethiopia’s strenuous effort to maintain the United Nations sanctions imposed on Eritrea. It would be another very sad moment if the draft resolution was considered for adoption. China, speaking in an explanation of the vote before the vote, said that it had all along held a clear position concerning country-specific resolutions. China was not in favour of imposing external mechanisms of inquiry because this would not contribute to a solution. Only by engaging the State in full consultation and embarking in constructive dialogue, could sustainable improvements in a human rights situation be expected. China would not join in the consensus. Pakistan, speaking in an explanation of the vote before the vote, said that country-specific mandates without the consent of the State concerned were not productive. Pakistan had always attached great importance to constructive engagement, dialogue and collaboration to uphold the principles of universality, objectivity, and non-selectivity. Pakistan was not convinced of the need for the duplication of Special Procedures at a time of financial constraints. Russia, speaking in an explanation of the vote before the vote, said that it did not support country-specific resolutions under item 4 of the Council’s agenda. Human rights issues in any country should be discussed during the Universal Periodic Review, which had been created for this purpose. Venezuela, in an explanation of the vote before the vote, rejected the selectivity and double standards towards various countries. The Council should be promoting and protecting human rights based on dialogue. The Universal Periodic Review had proven itself to be the best mechanism for country reviews and was the pillar of the Council. Venezuela thus rejected the draft resolution. In a resolution (A/HRC/26/L.14/Rev.1) on the situation of human rights in Belarus, adopted by a vote of 24 in favour, seven against and 16 abstentions, the Council expresses deep concern at continuing violations of human rights in Belarus, which are of a systemic and systematic nature; calls upon the Government of Belarus to carry out a comprehensive review of relevant legislation, policies, strategies and practices to ensure that the provisions are clearly defined, consistent with international human rights law and with their human rights obligations and commitments; urges the Government of Belarus to carry out a comprehensive reform of the justice sector and bar associations in order to guarantee the full independence and impartiality of the judiciary and the presumption of innocence; strongly urges the Government of Belarus to immediately and unconditionally release and rehabilitate all political prisoners, to ensure that those who have been released are immediately and fully reinstated in their civil and political rights; strongly urges the Government of Belarus to establish a national human rights institution in accordance with the Paris Principles; decides to extend the mandate of the Special Rapporteur on the situation of human rights in Belarus for a period of one year and calls upon the Government of Belarus to cooperate fully with the Special Rapporteur, including by providing him access to visit the country and the information necessary to facilitate the fulfilment of the mandate. In favour (24): Argentina, Austria, Benin, Botswana, Brazil, Chile, Costa Rica, Czech Republic, Estonia, France, Gabon, Germany, Ireland, Italy, Japan, Maldives, Montenegro, Peru, Republic of Korea, Romania, Sierra Leone, The former Yugoslav Republic of Macedonia, United Kingdom, and United States of America. Against (7): China, Cuba, India, Kazakhstan, Russian Federation, Venezuela, and Viet Nam. Abstentions (16): Algeria, Burkina Faso, Congo, Côte d’Ivoire, Ethiopia, Indonesia, Kenya, Kuwait, Mexico, Morocco, Namibia, Pakistan, Philippines, Saudi Arabia, South Africa, and United Arab Emirates. Greece, speaking on behalf of the European Union, introducing draft resolution L.14/Rev.1, said that the resolution reflected on the latest report of the Special Rapporteur, who had reported wide human rights violations in Belarus of a systemic and systematic nature. The Special Rapporteur had confirmed that very little progress had been made, and in some areas, such as the treatment of civil society, the situation had worsened. The European Union was particularly concerned about the application of the death penalty in Belarus, which was the last European country to still do so. The recent release of Ales Bialiatski, a prominent human rights defender, was welcome. The Government of Belarus was strongly encouraged to engage with the Special Rapporteur. Belarus, speaking as the concerned country, said that the draft resolution was not fair and ignored all the success that Belarus had made over the previous 20 years. Belarus did not consider it was possible to cooperate with the Special Rapporteur, whose mandate had nothing to do with the promotion of human rights. His mandate was politicized, and was aimed at destabilizing the Belarusian State, and Belarus would under no circumstances recognize that mandate. There were no objective reasons for the existence of the Special Rapporteur on Belarus. Belarus asked Council members not to support the draft resolution. Russia, speaking in an explanation of the vote before the vote, said that Russia did not acknowledge the Special Rapporteur on Belarus and this was a politicized matter. Human rights matters must be discussed in a mutually respectful manner. The mandate on Belarus discredited the Human Rights Council; without the support of Minsk, it would not achieve its objectives. Russia asked for a vote on this resolution and said it would vote against it. Brazil, speaking in explanation of the vote before the vote, said that Brazil would vote in favour of the draft resolution, however, a more balanced approach would have recognized the initiatives undertaken by Belarus, including the efforts to implement recommendations from its first cycle of Universal Periodic Review. Brazil believed that further steps were needed to meet the challenges of the past and present and believed that an immediate moratorium on the death penalty would be a step in the right direction. Venezuela, speaking in an explanation of the vote before the vote, said that it had repeatedly opposed the selective practices of some countries which were politically motivated, failed to respect States’ sovereignty and the principle of non-interference, and engaged in double standards. Some Governments sponsoring this resolution had committed some serious violations themselves but no resolutions were presented against them. Belarus had demonstrated its cooperation with the Council and its mechanisms, illustrated by its willingness to accept recommendations emanating from the Universal Periodic Review process. Cuba, speaking in an explanation of the vote before the vote, rejected the implication of this type of resolution based on political motivations. History showed that these politically motivated mandates, which did not count with the support of countries concerned, constituted a spurious exercise. Cube would vote against this draft resolution. Viet Nam, speaking in an explanation of the vote before the vote, said that the principles of international law, including non-interference and integrity, must be respected. Genuine dialogue and cooperation should be used to address situations of concern. Only on this basis could the international community work towards real improvements on the ground. Therefore as a matter of principle, Viet Nam’s vote represented its position concerning international law, and the need for cooperation in the Council to achieve positive outcomes. Ethiopia, in an explanation of the vote after the vote, welcomed the adoption of the resolution on the human rights situation in Eritrea. Ethiopia deplored that the delegation of Eritrea had circulated a note verbale in which the Ambassador of Somalia, as the sponsor of the resolution, had been personally attacked. The resolution would establish a commission of inquiry. Ethiopia was very pleased that the mandate of the Special Rapporteur had been extended. 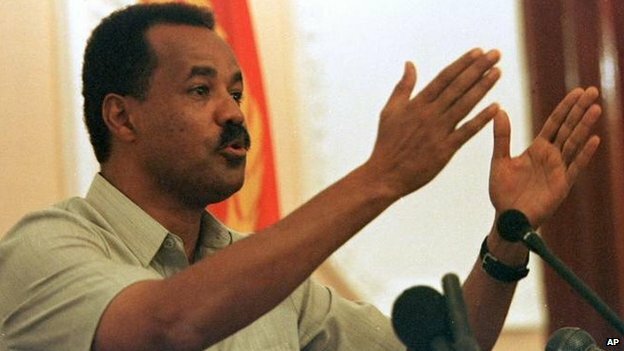 Eritrea had unfortunately become a haven for armed extremist groups, which had to stop. Eritrea should stop abusing its own people. Ethiopia reiterated that it was ready to make peace with Eritrea, in accordance with international law. Japan, in an explanation of the vote after the vote, said that it had joined consensus on the resolution on Eritrea. Japan was nonetheless not fully convinced over the establishment of the commission of inquiry since it had significant budgetary implications. Japan hoped for a prompt presentation of budgetary implication figures in the future. In a resolution (A/HRC/26/L.3) on the promotion and protection of human rights in post-disaster and post-conflict situations, adopted without a vote, the Council takes note of the request of the Advisory Committee at its twelfth session that the Human Rights Council extend the time schedule envisaged to allow for better informed work by re-circulating the questionnaires to seek the views and inputs of the various stakeholders; anddecides to grant the Advisory Committee additional time in order to allow it to submit to the Council the progress report at its twenty-seventh session, and the final report at its twenty-eighth session. Uruguay, introducing draft resolution L.3, recalled that in March 2013 the Council adopted resolution 22/16 which requested the Human Rights Advisory Committee to undertake a study on best practices and challenges concerning the protection of human rights in post-disaster and post-conflict situations. At its twelfth session, the Committee had presented an oral update concerning its work and requested additional time to circulate a questionnaire to obtain contributions and views of relevant actors. This draft resolution, procedural in nature, granted additional time to the Advisory Committee to present a progress report on the study at the Council’s twenty-seventh session and the final report at its twenty-eighth session. Sierra Leone, speaking in a general comment, said that during disasters and conflict situations, States often lost control of mechanisms to protect human rights. These mechanisms should be restored with the support of the international community in the aftermath of these crises. Post-conflict situations provided an important opportunity to address human rights issues, particularly considering that human rights violations were on many occasions the causes of the conflict. Sierra Leone called on Council Members to provide support for these efforts. In a resolution (A/HRC/26/L.13) on the promotion and protection of the human rights of peasants and other people working in rural areas, adopted by a vote of 29 in favour, 5 against and 13 abstentions as orally amended, the Council decides that the working group with the mandate of negotiationg, finalizing and submiting to the Human Rights Council a draft United Nations declaration shall hold its second session for five working days before the 29th session of the Council; requests the Chairperson of the Working Group to conduct a wide range of informal consultations with stakeholders before the second session; requests the Chairperson to present a new text on the basis of the discussions held during the first session, including the draft declaration presented by the Advisory Committee; and invites States, civil society organizations and other stakeholders to actively and constructively contribute to the work of the Working Group. In favour (29): Algeria, Argentina, Benin, Brazil, Burkina Faso, Chile, China, Congo, Costa Rica, Côte d’Ivoire, Cuba, Ethiopia, Gabon, India, Indonesia, Kazakhstan, Kenya, Morocco, Namibia, Pakistan, Peru, Philippines, Russian Federation, Saudi Arabia, Sierra Leone, South Africa, United Arab Emirates, Venezuela, and Viet Nam. Against (5): Czech Republic, Republic of Korea, Romania, United Kingdom, and United States of America. Abstentions (13): Austria, Botswana, Estonia, France, Germany, Ireland, Italy, Japan, Kuwait, Maldives, Mexico, Montenegro, and The former Yugoslav Republic of Macedonia. Bolivia, introducing draft resolution L.13, on behalf of a group of States, said that the draft resolution continued the work of the intergovernmental open-ended working group, to negotiate, finalize and submit to the Council a draft United Nations declaration on the rights of peasants and other people working in rural areas. It called for a second session of the working group and requested the preparation of a new text on the basis of the discussions held during the first session of the working group. By reinforcing the rights of those that played a decisive role in feeding the world’s population, a United Nations declaration would also reinforce food security and sovereignty, in particular in developing countries. South Africa, in a general comment, stated that the eradication of poverty and underdevelopment and the primacy of the right to development were central to South Africa’s foreign policy priorities. The United Nations human rights system had done very well so far in establishing a body of laws, and would need to continue so by including the rights of peasants and other people working in rural areas. Protection mechanisms were necessary to protect the conditions and livelihoods of people in rural areas. Cuba, in a general comment, was surprised that the draft resolution had not achieved consensus. Forty thousand people were dying from hunger on a daily basis and they deserved the unanimous support of the international community and the Human Rights Council for eradicating hunger, malnutrition and extreme poverty. Cuba appealed to States who were committed to the right to food to support the initiative. Italy, speaking on behalf of European Union States Members of the Council, in a general comment, expressed concern about the inequalities and the realisation of rights between people living in urban and rural areas. States had the responsibility to progressively eliminate inequalities and ensure the realisation of rights for all. This was an important discussion to have but European Union States were concerned that the draft declaration did not provide the appropriate base since it did not provide an assessment of the legal basis, implementation nor concrete guidelines. While the European Union States acknowledged that some of the concerns had been taken into account, significant substantial and procedural concerns remained. The European Union States regretted that no consensus could be found. United States, speaking in an explanation of the vote before the vote, said that it was deeply concerned about the challenges faced by persons living in rural areas around the world, in particular food security challenges, and had endeavoured to address this issue through multilateral fora. The promotion and protection of the rights of persons living in rural areas deserved a discussion and the United States was pleased by the engagement of the working group, however it had not seen any indication that it was moving in the right direction, towards actions rather than words. Seeking to negotiate a declaration without a preliminary analysis would lead to a suboptimal outcome at best. The United States called for a vote and would vote against it. This is incredibly personal statement for business studies has presented a progress report on the study at the Council’s twenty-seventh session and the final report at its twenty-eighth session.